The Margarita Philosophica appeared around the year 1500 CE, written by Gregor Reisch of Freiburg. The title page of the manuscript contains the fascinating image below, in which the seven primary subjects of the book are allegorized as maidens, under the guidance of a three-headed windged figure who is perhaps representative of wisdom. 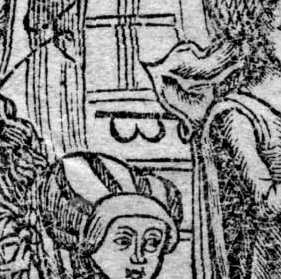 I'm curious about the symbol that appears on the dress of the winged figure at the center of the image. What symbol is it, and what might it mean in this context? 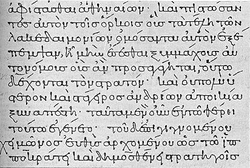 It is a cursive form of π (the Greek letter 'pi'), as it is in the manuscript of Thucydides you also posted. The three-headed and winged figure is Philosophy (as it says in the round border above her: 'PH(ILOSOPH)IA TRICEPS . NATVRALIS . RATIONALIS . MORALIS . HVMANAR(VM) RERVM', i.e. 'Philosophy (of matters human) is three-headed [and her heads are] natural, rational, and moral [philosophy]'. 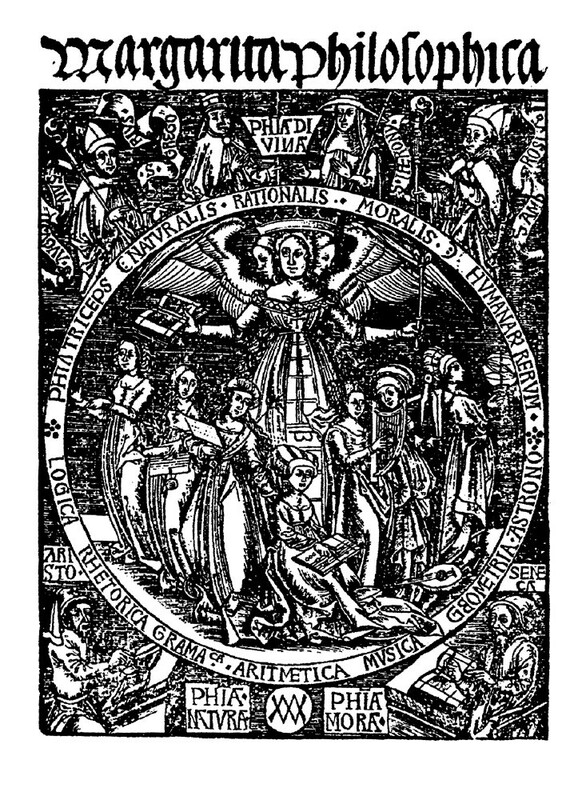 The seven figures below her are the seven liberal arts (the trivium and quadrivium), also named in the round border. James' footnote explanation, however, that the letters represent respectively political and theoretical life, is probably incorrect. More likely they represent practical and theoretical (philosophy). The ladder/steps are clear on the image you posted; the θ below her neckline less so (to me at least). In fact it looks more like τ (the Greek letter 'tau'). One final note: this is not a manuscript but rather a printed book. Not the answer you're looking for? Browse other questions tagged art 16th-century education latin or ask your own question. What does GEORGIUS III·D:G·BRITANNIARUM REX·FIDEI DEF·& c·mean?